If you are like most people, exercise and fitness is the last thing you want to think about while you are on vacation. Unfortunately, going away has a tendency to lead you down some unhealthy rabbit holes. This is particularly true if you have already established a fitnebass routine, and you fear that the vacation may knock you off the wagon. Fortunately, its pretty easy to stay fit on vacation if you plan accordingly. 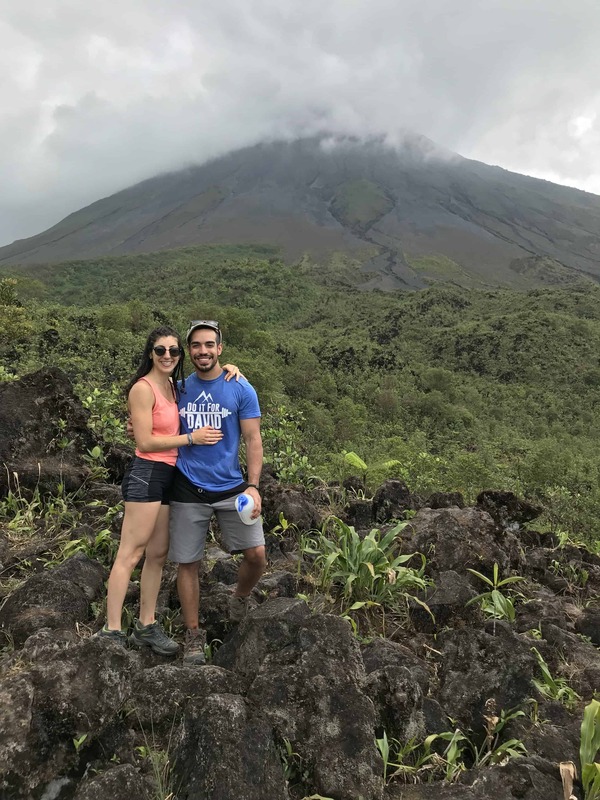 Brittany and I just returned from a 2 week trip to Central America and despite not going to the gym during this trip, we established some helpful strategies to keep our bodies healthy. The number one strategy that we use to “exercise” on vacation is to participate in a lot of activities. What do we mean by activities? When most people think of vacation, they picture themselves sitting on the beach drinking a pina colada, until the sun sets. There is nothing wrong with this, especially since vacations are meant to be relaxing. But you don’t have to just sit on the beach every single day. You will be shocked at how much fun the local activities are. Find a popular trail or hike and do it. Does the place you are visiting have any beautiful, natural scenery? 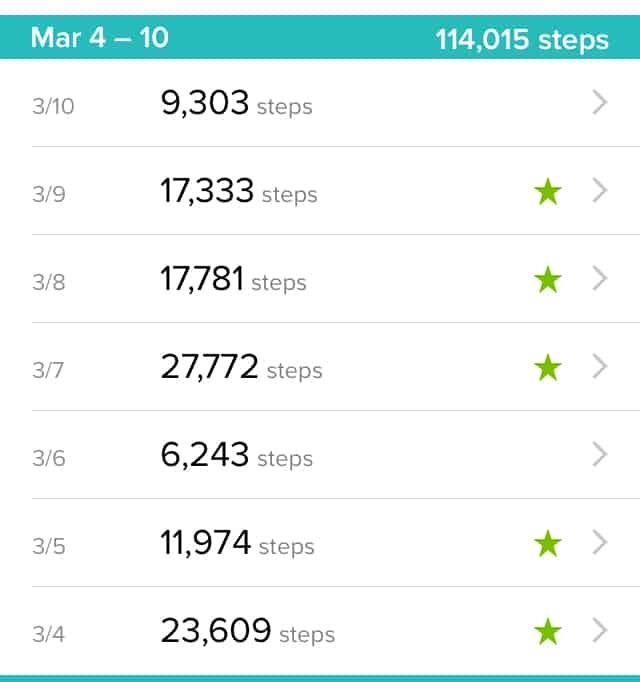 Each one of these events required a lot of walking, hiking and of course physical activity. Our pedometers were usually measuring 20,000+ steps on some of these days. Then book 1 or 2 excursions. Every single excursion we did was a remarkable experience, as well as a pretty good workout. Don’t underestimate the power of walking/hiking/swimming or any other physical activity. It doesn’t really matter what you do, the key is to stay active on vacation. Don’t just sit by the pool in the resort or on the beach all day every day. You can do that anywhere. There is no reason to go abroad if that is all you plan on doing while on vacation. Get up and move. See things you have never seen before. These experiences will help shape your life, and your body. Most people see vacation as an opportunity to eat whatever they want whenever they want. Especially in the all you can eat buffets. After all, you are on vacation right? As you could imagine, there are problems with this approach. Splurging on whatever foods and drinks you desire is a surefire way to gain unwanted weight. These extra pounds can be very difficult to lose. Especially since you may start to do equally unhealthy things to try to lose it such as drastically cutting calories. With that said, you probably should not diet while you are on vacation. Forcing yourself to be strict with your food will only lead to feelings of deprivation and resentment. Is it possible to avoid weight gain while still enjoying good food? Just as we discuss in How to Lose Weight Naturally [Using The Incredible Power of Food], the first step in fixing your diet is to add nutrient-dense foods into your meals. Depending on where you go, the local food could be really healthy and tasty. 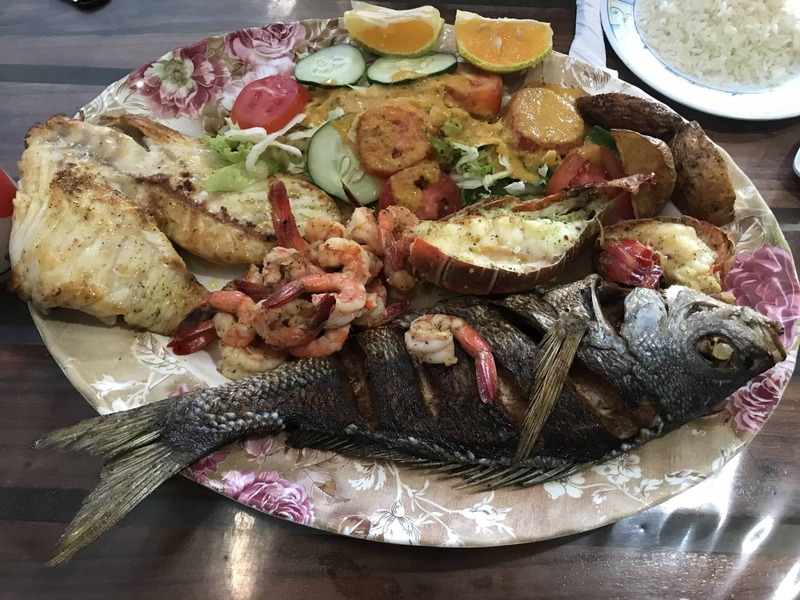 Central America is home to many fruits and vegetables, and tons of fresh fish options. No matter where we ate, we always had a fresh salad with our meal and regularly consumed fruits for energy throughout the day. Don’t go abroad to eat cheeseburgers, hotdogs and french fries. There are so many fast food options available in Central America. Sadly, we saw many American franchises such as Burger King, McDonald’s, Papa John’s, Quiznos etc. Order the traditional dishes of that country. These food sources are usually more natural, more nutrient dense (and more tasty) then what you can get back home. But what if you are on a cruise or an all inclusive resort? You can still eat relatively clean in these scenarios. Similar principles apply as above. Do not order foods that you typically find at home, especially not burgers, pizza, fries etc. Get a lot of varied food. Don’t eat until you are stuffed. What if you want to stay on a diet during vacation? This sounds like a lot, but it really didn’t take up that much space. The convenience of having our favorite snacks during the day was well worth the effort of bringing the foods. This is the other key strategy that we use to stay on track while on vacation. We always find the local supermarket and stock up. 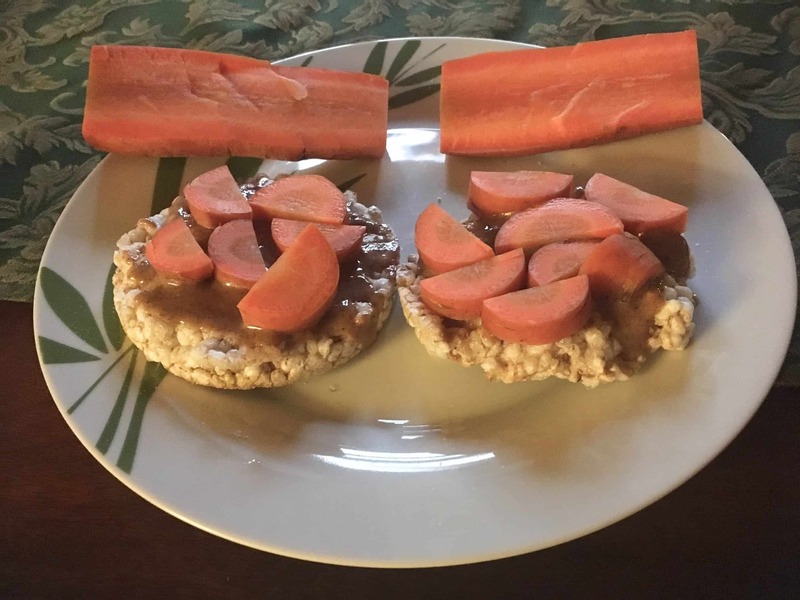 Buy enough food so that you can prepare yourself a nice healthy breakfast every morning that you will be at your location. 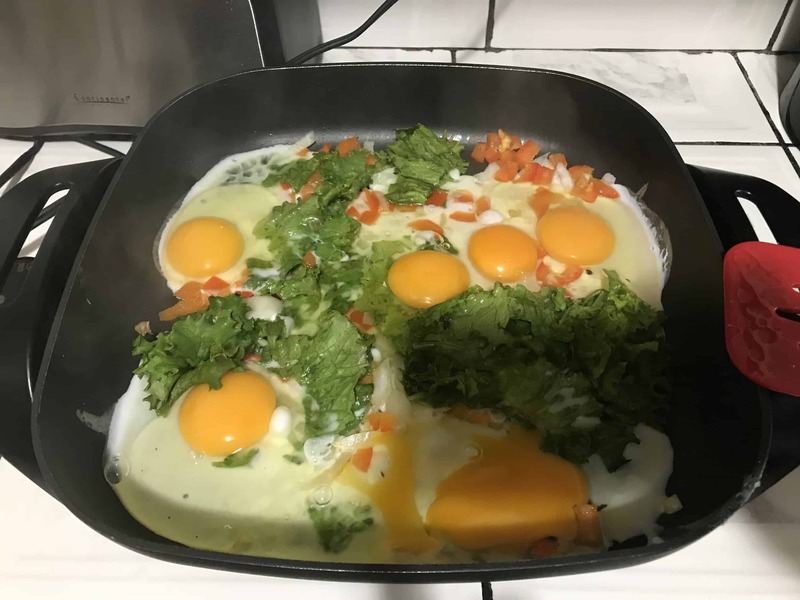 We usually buy eggs, avocados, peppers, spinach and onions, and make daily omelettes. You also get the added benefit of saving money by not having to rely on restaurants for all of your meals. You might also collect some ingredients and have a nice home cooked dinner one day that you are there. The possibilities are endless. This is my favorite tip of all time. Drink a lot of water. Yes, I know that you would like a Pina Colada or something with each meal, but you don’t have to drink 3 every day. Most people aren’t aware that drinks are usually the main culprit in excess calorie consumption. Liquid calories can wreak havoc on you. You could easily chug 500 calories in seconds without ever having to chew once. Have water with some of your meals. I know, water can be plain and boring. That is why I said some meals. Nothing will hydrate you like plain old water can. Staying adequately hydrated can keep you feeling satiated and help maintain energy levels throughout the day. How much water should you have with your meals? Check out The Importance of Staying Hydrated. We answer questions such as how much water you should drink, the most hydrating foods and drinks, and simple hacks on how to drink more water throughout the day. You will be relieved to hear that the answer is, No. No, you should not exercise on vacation. You can actually go a couple of weeks without exercising, and experience little to no effect on your fitness levels. It is OK to skip the gym. Brittany and I still tend to exercise, but that’s ok. We are crazy. Remember when I said that we didn’t go to the gym while in Central America? I lied. We did go once. But did we have to? No, not at all. It is actually a pretty good idea to take off from the gym for several reasons. Using the traditional recovery methods we outlined in Powerful Recovery Strategies for the Busy Professional, is great, but it doesn’t allow full 100% recuperation. Taking a break once in a while will allow any accumulated fatigue to dissipate while your body adapts to the new fitness levels. But if you are like us, and can’t seem to get away from exercising, here is a simple quick vacation workout you can do anywhere. Each day add 1 repetition to every exercise. Take as many sets as you need to accomplish the repetitions. You can also choose to start with just 5 repetitions of each exercise and add 1 rep each day. This is the famous PLP routine popularized by Chad Waterbury in T-Nation, which people have used to gain strength, decrease fat and build appreciable muscle. Traveling and fitness do not have to be mutually exclusive. Vacation is a time to get away from your normal routine and allow recovery of your body and your mind. With that said, being abroad is not an excuse to just let everything go. It is possible to stay active and maintain a healthy lifestyle on vacation and still enjoy yourself. 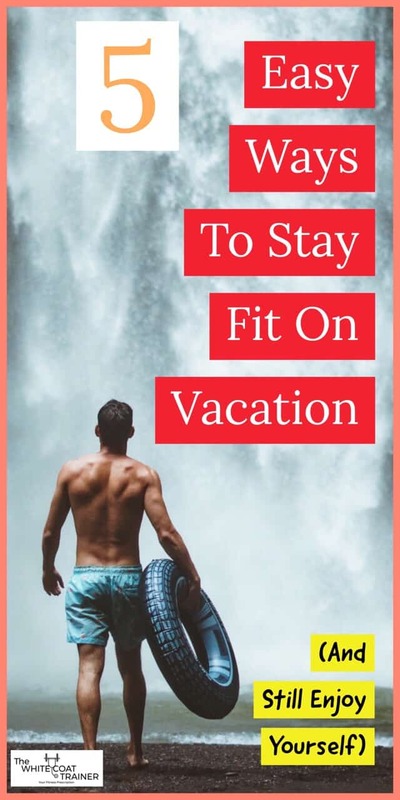 Here is a quick recap of our essential strategies to stay fit on vacation. What do you typically do when you are on vacation? Do you try to eat clean while away? Where are you headed to next? PS: Be sure to check out Walking for Weight Loss [The Most Underrated Way to Lose Weight] to learn just how beneficial being active is while you are away. PPS: Don’t forget to share these travel tips with anyone you know who may be going away! Do you want to keep getting articles like this one? Sign up and get our WCT workout template Free! Outstanding and informative article. We 100% agree about staying active abroad. Seeking out hikes and rides and runs make international travel inexpensive and exciting. Thanks for these excellent tips…we’d love to have you guys guest post on Sightsee, MD sometime! Thank you very much. This was our first real trip where we didn’t stay at a hotel or a resort, so we were forced to find the activities. And sure, do you have any topics in mind?